From the creators of “Shrek” comes DreamWorks Animation’s “Trolls,” a smart, funny and irreverent comedy about the search for happiness, and just how far some will go to get it. 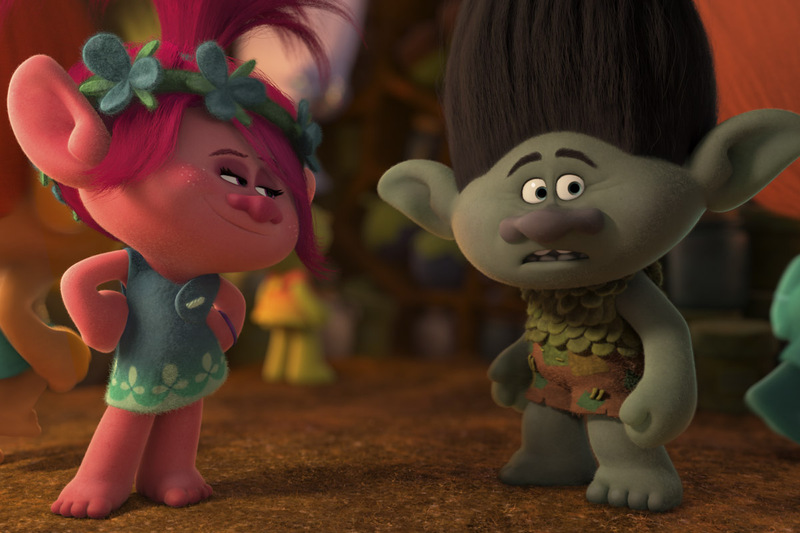 The film transports audiences to a colorful, wondrous world populated by the overly optimistic Trolls, who have a constant dance in their step and a song on their lips, and the comically pessimistic Bergens, who are only happy when they have Trolls in their stomachs. 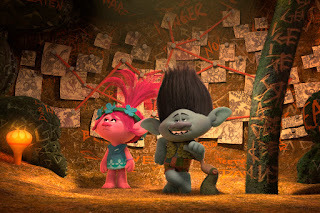 After the Bergens invade Troll Village, Poppy (Anna Kendrick), the happiest Troll ever born, and the overly-cautious, curmudgeonly Branch (Justin Timberlake) set off on a journey to rescue her friends. Their mission is full of adventure and mishaps, as this mismatched duo try to tolerate each other long enough to get the job done. Happiness was foremost in the minds of “Trolls” director Mike Mitchell and co-director Walt Dohrn, even during the earliest stages of story discussions with screenwriters/co-producers Jonathan Aibel and Glenn Berger and producer Gina Shay. The two filmmakers had worked together on DreamWorks Animation’s blockbuster “Shrek” franchise, and their familiarity with the beloved ogres of that world led them to their distant cousins, the Trolls. Their research into Troll lore, which sprang from Scandinavian mythology, revealed that Trolls came in myriad shapes and sizes, from monstrous giants to tiny creatures who granted wishes. As DreamWorks had done with Shrek, Mitchell and Dohrn decided to adapt the Trolls mythology to create a new universe and set of characters. 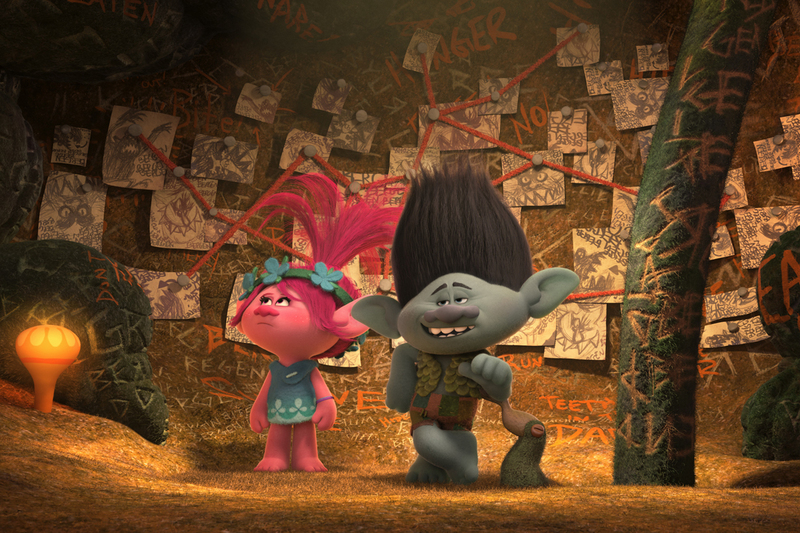 “Trolls” opens November 2 in cinemas nationwide (2D and 3D) from 20th Century Fox to be distributed by Warner Bros.